CBS Radio has reached a deal with Beasley Broadcasting to swap broadcast properties that will result in new ownership for a number of stations in radio's top markets. CBS Radio will acquire stations in Philadelphia and Miami. Meanwhile Beasley Broadcasting will now own soon to be former CBS radio stations in the medium-sized markets of Tampa and Charlotte. They will also acquire an AM sports station in Philly also. Among the stations that will see ownership under Beasley will be Charlotte's urban stations Power 98 WPEG and WBAV V101.9. Under CBS Radio, management's philosophy has been to favor local shows and on-air personalities at most of their radio stations particularly their urbans like V103 in Atlanta, WPGC in D.C., as well as WPEG with The Morning Maddhouse. 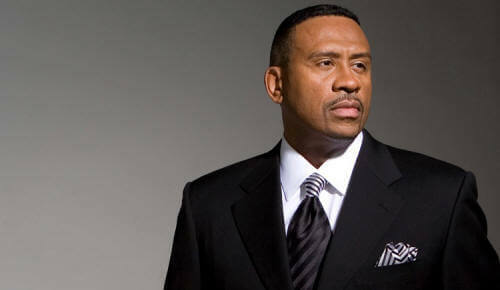 (It was the main reason Frank Ski was not offered a new contract at V103. He asked for a syndicated deal from CBS during negotiations and they decided to stay local with Ryan Cameron.) An exception of course was with Urban AC station V101.9. They dropped their local morning show a few years ago and brought in the Steve Harvey Morning Show. Charlotte was the only market where CBS Radio operated two full service urban stations. There's no telling at this point what Beasley will do with the two urban stations in Charlotte. The multi-station trade between CBS and Beasley is pending approval from the FCC. You can expect format changes forthcoming for some of the 18 stations that were swapped in this transaction in the next few months. There are rumors already surfacing that CBS Radio will change formats on the high profile rhythmic station in Philadelphia known as Wired 96.5 and broadcast instead its powerhouse all-news station KYW 1060 AM. Read more here in this official press release.